SSolver: SPISim’s spice and field solving engine. 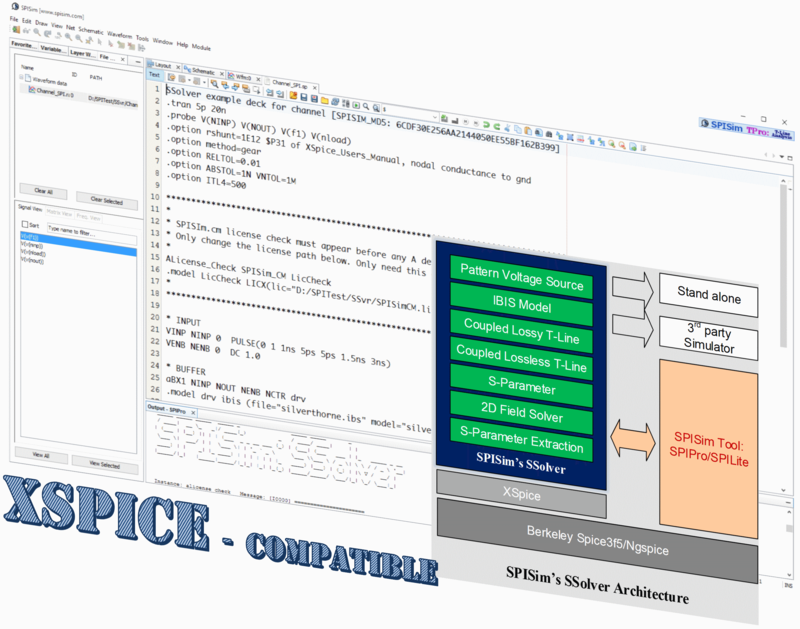 It’s is fully integrated into our SPISimPro suite or can be used as stand-alone and with 3rd party (XSpice compatible) simulator. Provide integrated back-end analysis support for all SPISim’s analysis modules. High-performance computing focusing on system level elements, running cross-platform with multi-threaded/sim-farm supported. Usage manual: click [HERE] to see manual for detailed capabilities. Example decks: click [HERE] to download the example FullChannel.sp and SParamExtract.sp along with models to give it a try. Unzip and see README.txt first.